Designed by Carolyn Kinder International, the Aurelie Etagere features silver leafed iron with clear, tempered glass shelves. Available to trade professionals at Uttermost.com. 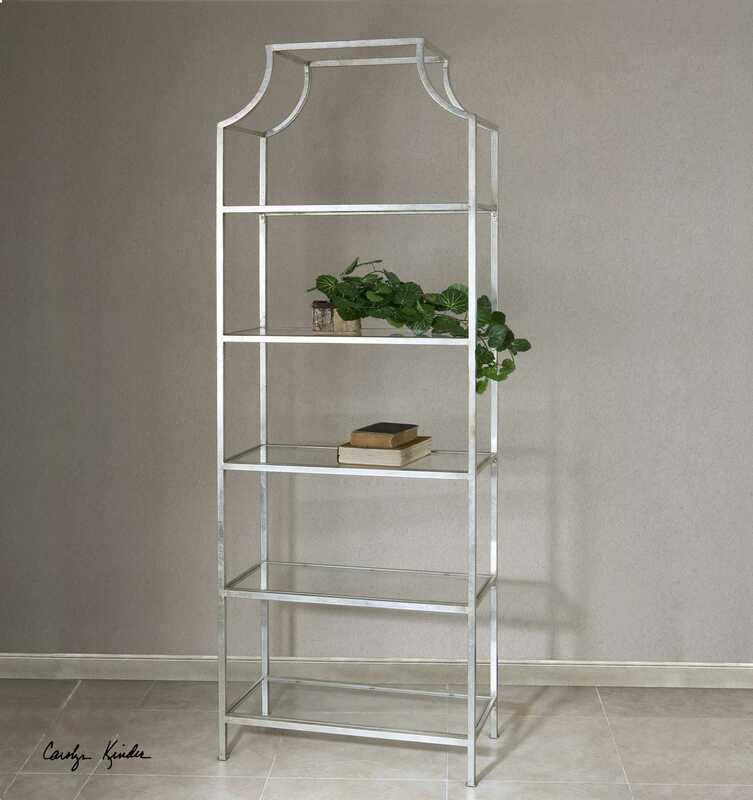 For retail purchase Google keyword “Carolyn Kinder Aurelie Etagere”.